The Perfect Poker Tournament Part 4: Which Satellite Tournaments Are Best? The Perfect Poker Tournament Part 3: Regular Ante, Button Ante, or Big Blind Ante? The Perfect Poker Tournament Part 2: Freeze-Out, Single Reentry, or Unlimited Reentry? The Perfect Poker Tournament Part 1: How Many Players Should Sit at the Poker Table? Sam Grafton and Doug Polk: A WSOP Poker Bromance Brewing? Amanda Sizemore: Third Time the Charm in Ladies Championship? Phil Hellmuth: "I'm Beginning to Tackle the Poker Brat"
Bryn Kenney Wins the PokerStars Championship Bahamas $50,000 Single-Day High Roller for $969,075! Ka Him Li Wins 888live Poker Festival London Main Event for £45,300! 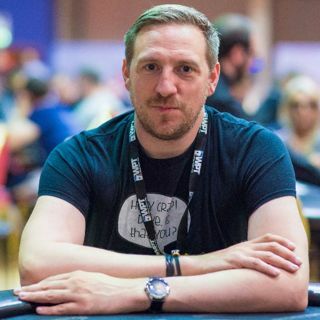 Svetlin Ivanov Wins 888Poker London Live Opening Event for £16,440!